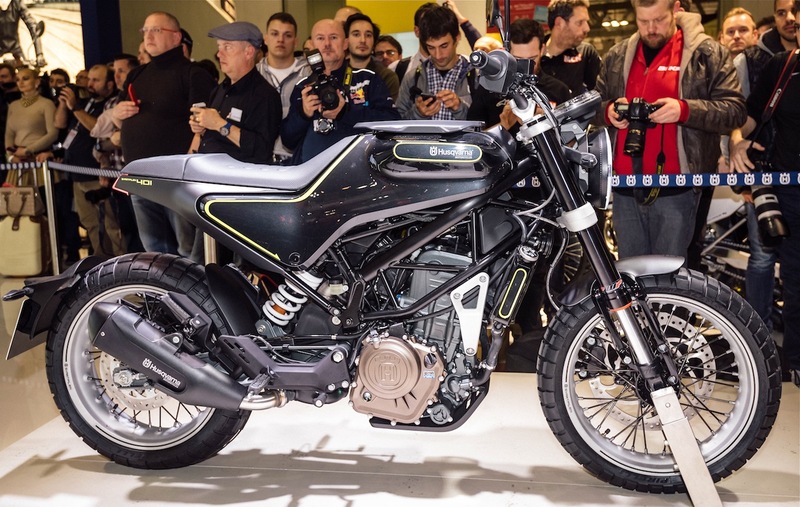 Husqvarna Motorcycles took the covers off their production Vitpilen 401 and Svartpilen 401 machines at the 2016 EICMA show held in Milan, Italy. 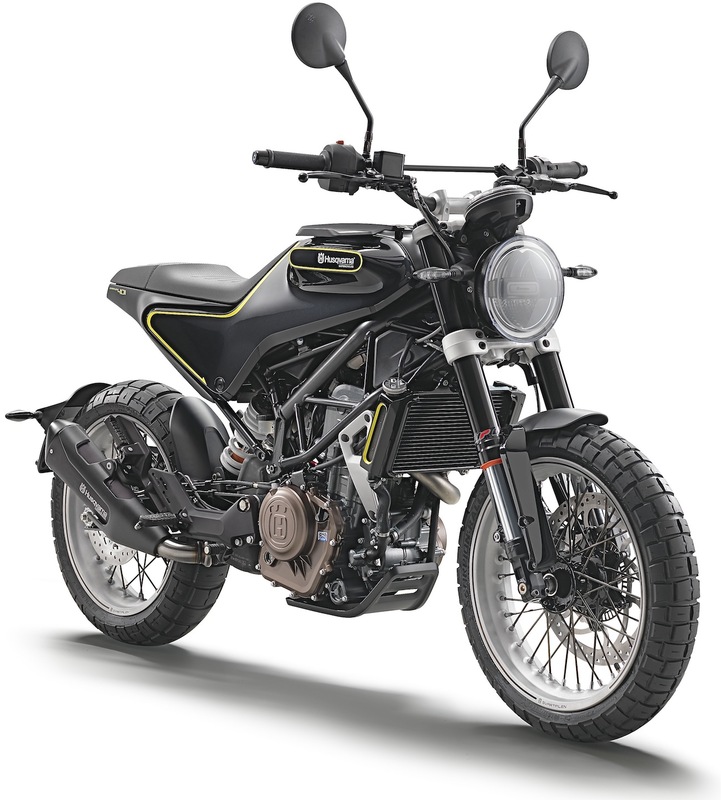 With the introduction of these pure state-of-the-art models Husqvarna Motorcycles takes an important step towards fulfilling their progressive vision of street motorcycling. The first two models of the ‘Real Street’ range will be the Vitpilen 401 and Svartpilen 401, with Husqvarna Motorcycles fully focused on rolling them out at Authorised Dealers by late autumn 2017. True to the brand’s high-quality, performance and design standards, these two models pave the way for an astounding future in the onroad segment. 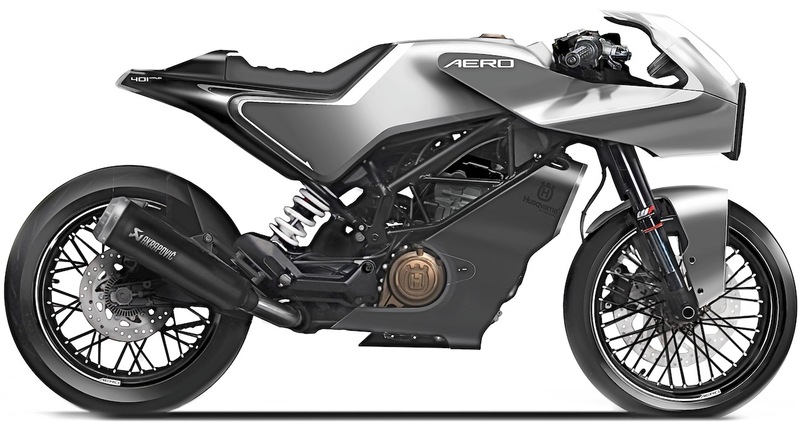 Also launched at EICMA 2016 is the Vitpilen 401 Aero concept, a single-cylinder machine that is the perfect interpretation of what a 21st century faired motorcycle should look like, according to Husqvarna. 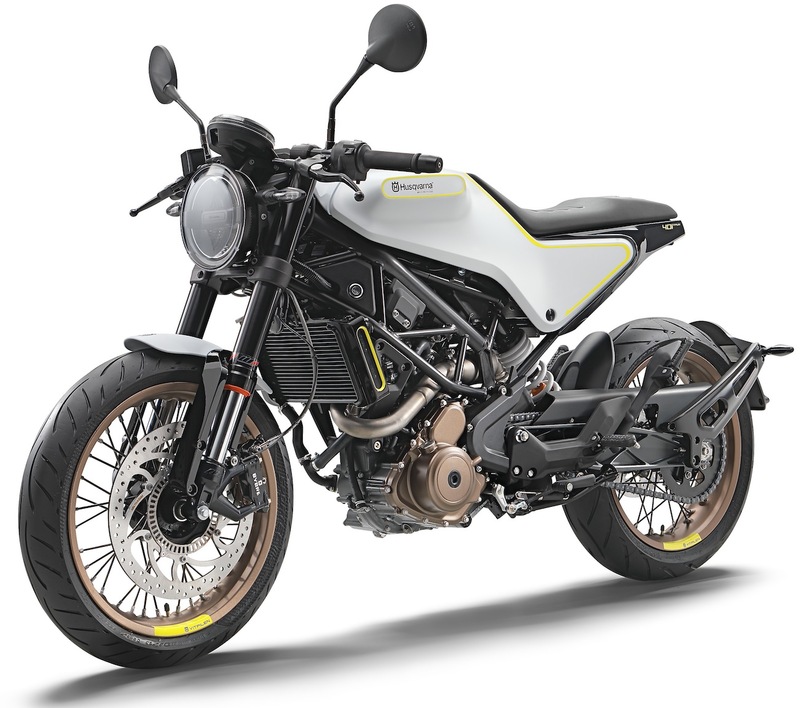 Launching Husqvarna’s new ‘Real Street’ range the Vitpilen 401 is a refreshingly simple and progressive urban street motorcycle that provides a new gateway into the motorcycling culture for a wider range of riders. Recognised and globally awarded for its unique design the VITPILEN 401 presented at EICMA 2016 is set to hit the showrooms by late autumn 2017. Devoid of any excess and focused on providing a pure riding experience the Vitpilen 401 features a technologically advanced single-cylinder 375 cc engine that is housed in a stripped down but progressive layout. Offering excellent performance the bike appeals to an entirely new generation of riders looking for an honest and highly accessible machine. Forming part of Husqvarna’s ‘Real Street’ bike range, the Svartpilen 401 is a modern day interpretation of a street explorer. Featuring a bold and rugged appearance it offers a progressive new way for potential riders to experience motorcycling. Beyond its unique styling the Svartpilen 401 has a high focus on everyday functionality thus featuring rugged knobbly tyres, a practical tank rack and more robust protection all-over. Built around a similar chassis and engine philosophy to its Vitpilen 401 sibling, the Svartpilen 401 offers a more upright riding position thanks to its wider motocross-styled bars. The finished version of the Svartpilen 401 presented at EICMA 2016 is also expected to hit the showrooms by late autumn 2017. Drawing inspiration from the brand’s iconic past the Vitpilen 401 Aero is a compact single-cylinder ‘Real Street’ concept motorcycle that ideally depicts Husqvarna’s interpretation of how a faired bike should look like. Offering an innovative design approach, the Vitpilen 401 Aero concept features an aerodynamic fairing that seems to have been moulded by the wind itself. With every part of its windshield being purely technical, increased amounts of air are now channelled through to the engine to regulate cooling. Compared to its Vitpilen 401 sibling, the all-new windshield gives the Aero a fuller appearance while allowing the front and the rear ends of the bike to perfectly match each other. With the design of the windshield now encouraging a more locked-in position, the rider’s helmet becomes part of the airflow in what is a fully immersive riding position.